Everyone (probably even the dog) knows that local interest rates have hit rock-bottom lately. 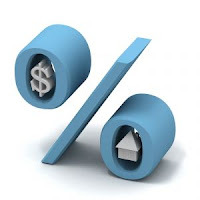 Sibor/SOR rates are at record lows so it may be a good time to refinance that home loan. Following is taken from an article in The Sunday Times today, which provides some useful pointers for those of you who are thinking about refinancing. Customers usually take fixed-rate loan packages – where the rates are fixed for the first two to three years – when they need protection against rate hikes. The United States Federal Reserve has pledged to keep interest rates low until mid-2013 so rates here are also likely to remain flat. Packages pegged to the Sibor or SOR may be more cost-effective. But there is no guarantee, so some customers might want to opt for the fixed-rate option, said Citibank Singapore’s business director for secured finance, Mr Peng Chun Hsien. Citibank is offering a one-month Sibor plus 0.7% loan package. With the one-month Sibor at 0.218%, this works out to effective interest rates starting from as low as 0.918% throughout the loan tenure. Their customers can also switch between one-, three-, six- and 12-month Sibor tenors, or from a floating rate to a fixed rate free of charge. OCBC Bank’s deal has a three-year lock-in, and on top of the three-month Sibor, has a spread of 0.55% for the first year, 0.6% in the second, and 0.65% in the third, and 1.25% thereafter. DBS Bank’s latest offer is pegged to the one-month Sibor or three-month Sibor, with a spread of 0.85% for the first three years. For the three-month Sibor package, the interest rate is capped at 1.49% for the first three years. HSBC has a loyalty package, which is Sibor plus 0.9% for the first year, 0.85% for the second and 0.8% thereafter. There is a cash incentive of 0.4% of the loan amount, capped at $10,000. If you have borrowed $1 million over the next 20 years with a current interest rate of 3.75% and refinance it to 1.18% in the first year, the savings amount to about $1,000 a month. Mr Derrick Ang, director of mortgage sales at consultancy portal SingaporeHousingLoan.sg, said that in general it is prudent for home owners to review their loans every three year or so, regardless of interest rates. But there are various costs that come with refinancing, so home owners should make sure the savings outweigh them. As a rule of the thumb, if you plan to sell your property in the short term, it may not be wise to refinance, taking into account the cost incurred and the limited time that home owners get to enjoy the interest savings. A typical lock-in period is two to three years so if you withdraw your loan within this time, there might be a penalty of 1% to 1.5% of the outstanding loan. Property owners thinking of selling in the next two to three years should choose a package with a shorter penalty period or one with no penalties attached over one that imposes a penalty. There is a conversion fee of $500 to $1,000 which will be incurred even if you are no longer within the lock-in period. Refinancing requires conveyancing paperwork. However, the new bank will usually subsidise this cost, about 0.3% to 0.4% of the loan amount, capped at $2,500 for private properties or $2,000 for HDB flats. Mr John Lee, head of free online home financing service LaonGuru.com.sg, said that the legal clawbacks is always three years; even if the lock-in period is two years, the legal subsidy has to be returned. Some other subsidies, such as valuation and fire insurance, may also have a three-year full clawback period. The choice comes down to whether there will be a significant amount of savings after subtracting the cost of refinancing. The final remark by Ms Chia is especially apt – One can easily fall into the lull of complacency when interest rates are so low, and end up overstretching their loan amounts to the point whereby servicing becomes a problem once Sibor starts to climb. No Comment to " Thinking about refinancing your home loan? " Interest rates to go up in 6 months' time? More Government land sites up for sale! So it's cheesy but what the heck! Rise of the Mainland Chinese buyers! A Treasure Trove: 210 units sold in 1 day!